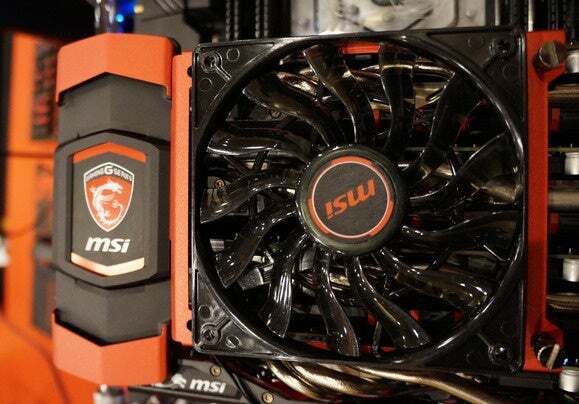 Anything worth doing is worth overdoing, as MSI's new 3-way and 4-way SLI bridges for Nvidia graphics cards show. Here at PCWorld, we like to preach a smart, practical approach to PC hardware. That hot new gear? You probably don’t need it. But there’s no denying the gut appeal of amped-up, gloriously excessive hardware that cranks things to 11 just for the hell of it. It’s why we stuffed 128GB of DDR4 RAM into a PC. It’s why mad tinkerers did, well, this in the quest for lower temps. And it’s why I fell head over heels in love with MSI’s ostentatious new 3-way and 4-way SLI bridges the second I laid eyes on them. SLI bridges are the little connectors that allow you to use multiple GeForce graphics cards simultaneously in a single PC. (AMD uses a similar technology dubbed CrossFire, but recent Radeon models have ditched the connectors and allow GPUs to communicate via your motherboard directly.) Since most people use single-GPU configurations, you might know them as “one of those extra bits that come packaged with swanky gaming motherboards.” But there’s actually a market for fancier aftermarket SLI bridges constructed from more premium parts, to better suit your flashy multi-GPU gaming setup. 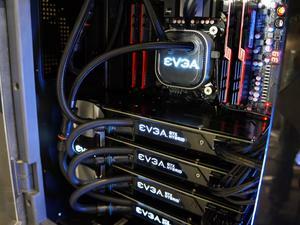 Asus ROG and EVGA both offer premium SLI bridges for example. These bad boys aren’t just “forged out of high-quality materials.” No, that’s not nearly enough. They’re also emblazoned with MSI’s dragon-y GAMING logo, and it’s LED-lit, too! Now we’re getting somewhere—but that’s still not excessive enough. The icing on this deliciously over-the-top cake is its fan. 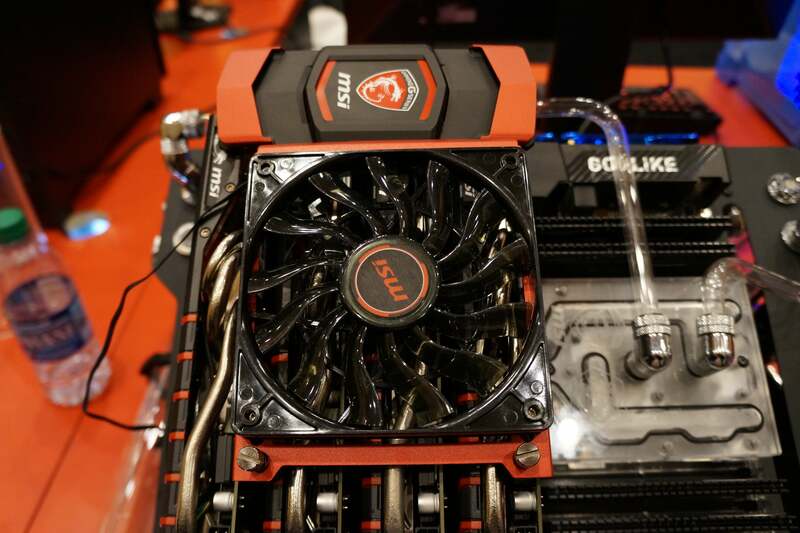 MSI's four-way SLI Gaming bridge with a Cooler Master fan, installed in an open-air system with four MSI graphics cards. That’s ridonkulous. That’s the definition of “doing it because you can.” As far as I can tell from a quick Google search, the fan’s a first for a fancy SLI bridge. And did I mention the competition for this is something that possibly shipped for free with your motherboard? MSI's shamelessly catering to an exclusive, enthusiast niche with these SLI bridges. I love it.